Mother’s Day is a great time to not only show all of the strong mothers fighting cancer how much they are loved, but it is also an opportunity to give a thoughtful gift that may be able to provide her added comfort and/or welcomed distractions during or after treatment. Anyone who has been affected by cancer knows that spending time with those you love beats anything that money could buy. If you are fortunate to live close by to your mom, devote the entire day to her. If you find a way to do something she loves - even if it’s just sitting by her side and gossiping - you’ll be able to remind your mom that cancer does not define her. If your mom is experiencing a lot of aches and pains as a result of a myriad of side effects from chemo, radiation, and other treatments, the Fishbellies corn bags would be a great gift. The colorful, beautifully-designed bags can work both as a hot pack and cold pack. Zap in the microwave and use as a heated neck wrap or to warm up on a cold night or, put in the freezer to provide relief for post-surgery pains or injuries. There are few things that are better distractions from reality than a good book with a riveting plotline. Does your mom already have a Kindle? This subscription is a great way to gift her unlimited reading and listening to thousands of books for $9.99 a month. Not sure if she’ll like it? Try the 30-Day Free Trial first. Nutrition can be very tricky to manage when dealing with cancer. This cookbook, aka 'bible,' written by IHC member Kendall Scott and Annette Ramke, can help. They share girlfriend-style, real-life knowledge and experience about the healing power of food, along with their stories of cancer ups and downs--with more than 100 recipes for fighting cancer and soothing symptoms of treatment. Packing a bag for treatment may be yet another thing on your mom’s already-too-long to-do list. The Chemo Pack For Her has pre-selected a few of the essentials -- ginger candy, headband, axillapilla comfort pillow, soft pashmina and playing cards -- so that patients don’t have to think about what to bring, they can just just grab the bag and go. You can also include additional personalized gifts in the duffle bag that is provided. Or if you prefer to build your own 'chemo pack,' all you need is an inexpensive, small duffle bag and a few of the go-tos that will help provide added comfort and distraction. Many fighters incorporate acupuncture into the cancer treatment regimen, particularly to combat neuropathy. Why not bring acupuncture treatment straight to your mom? The Bed of Nails acupuncture pillow and mat can improve circulation, sleep, digestion, and can also massage hard-to-reach muscles. What’s better than a day of pampering with your mom? Hair loss, skin issues, and other side effects may be impacting her self confidence, but Look Good Feel Better’s "More Than Makeup" initiative could help. The organization dedicated to improving the quality of life and self-esteem of people undergoing cancer treatment. The program offers complimentary group, individual, and online sessions that teach beauty techniques to help people with cancer to face their diagnosis with greater confidence. Find a program in your area here. There are a lot of things about being a cancer patient that can be uncomfortable, and, at times, awkward. Clothing is at the top of that list for many people. Ana Ono is a lingerie and loungewear company that launched in 2014 with the mission to design specifically for those who've had breast reconstruction, breast surgery, mastectomy or are living with other conditions that cause pain or discomfort. Their collections meet specific needs that are often not met by traditional lingerie brands, including wire-free designs, four-way stretch, hidden seams, gentle materials, pocketed and non-pocketed bras and cut and construction to avoid pain points. Use code IHCFAMILY for 15% off. Your mom knows more than anyone what type of side effects are plaguing her the most. Here are a few common issues and potential products that could help relieve some pain. We are sending love and strength to every mother fighting cancer this Mother’s Day, and to the families who are right there by their sides, together, you can do this. 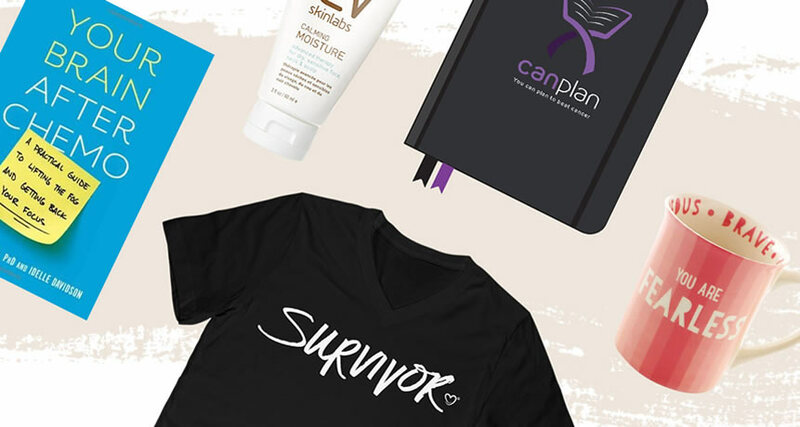 What are some other great gift ideas for moms fighting cancer? Share in the comments below. Don't see anything quite right for your mom? Check out our shop for more great gift ideas.